Iosif Davydovich Kobzon—until recently so respected, so loved by us, conquering our hearts with your fealty to compatriots, with your support for our mortal struggle against the fascist scum, with your courage in risking life and limb to come to your homeland in time of war—your newest protestation that “the entire people of the Donbass wishes to be a part of Ukraine!” has not gone unnoticed. To call your declaration a shameless and a vile lie does not do it justice. Your words are a genuine blasphemy because at this very moment Ukraine is bombing our land, killing our children and the elderly, sweeping from the face of the Earth dwellings, hospitals, schools, nurseries, shops, and industrial enterprises. Ukraine has tended to this labour of love for nearly three years—relentlessly, without stopping to eat or sleep. Our people rose up to defend our native land with nothing more than bare hands and the shouts of “Fascists shall not pass!” We did not desire war and did not attack anyone. However, when Ukraine sent bombers and tanks against us, we had no choice but to take up arms. Did you not know these basic facts, Iosif Davydovich? No? Were you not shown the monuments to the Donbass children killed by the artillery strikes of the Ukrainian fascists? Were you not aware that each of these bombardments leaves our land scarred with ruins and littered with corpses of civilians? Did you have no idea of the starving, helpless old people, deprived by Ukraine even of their meager pensions? Were you ignorant of what it takes to survive in our conditions, when constantly water mains and gas pipes are laid to waste, when roofs, perforated by mine fragments, leak without end, when even a moderate wind rips through the cellophane stretched over smashed windows? Were you not told that the residents of our communities cook their food on bonfires in the street, that left without access to proper medical treatment, adequate nutrition, and warm clothing they succumb to disease and death, that they are culled by Ukrainian snipers on a daily basis? All this misery is furnished by Ukraine, which has always hated the Russian people of our region. It is but a mere stepping stone for the Ukrainian government, which dreams of trampling our people as it litters the airwaves with promises to exterminate us in concentration camps, to seize and appropriate our homes and lands… Have you heard of the word “genocide”? What basis is there for your statement about the desire of the people of the Donbass (the entire population, all of them!) to reunite with this grotesque pseudo-state, the very murderer targeting them, the monster from whom the Donbass defends with all its strength, sparing neither life, nor limb?! Do you believe us all to be demented?! From whom among us have you heard even a whisper in favour of being reunited with Ukraine?! From whom?! So many recordings of your visits have been preserved on social networks, and yet not one of them contains a statement like that! Have you once seen a portrait of Bandera or the yellow-blue rag with the satanic trident in a crowd of people welcoming you to the Donbass? Have you observed any one of us throw a casual “Sieg Heil!”, shout “Glory to Ukraine!”, or intone their ugly “It has not perished yet…” national anthem? On what basis, then, did you conclude that “the entire people of the Donbass” informed you of its desire to be a part of Ukraine?!! Who made you so afraid, Iosif Davydovich, that you have chosen petty subterfuge and betrayed the very people whom of your own free will you came seemingly to support in a struggle against Ukrainian fascism? Or did you prevaricate when you sought to inspire us with a true and kind word, with songs and well-wishing, with material support? You should know, Iosif Davydovich, that we came to believe you, and that we wept with fondness and gratitude. Do you know what a precious commodity kindness is in times of war, when every day can turn out to be the last? So what has happened to you? Perhaps you, as others, have been graced with a visit from Herr Burkhalter (2), who utilized his briefcase to make you so quickly change your rhetoric? Had it been our wish to be a part of Ukraine, Iosif Davydovich, we would have joined the yokels with pots on their heads in the jumping bacchanalia on the Maidan, and later would have progressed to shining the shoes of the NATO GI Joes and to polishing cannons on the border between the Donbass and the Russian Federation. But we refused to submit to such an existence. It is in defence of this choice that we are shedding our blood right here and right now. Even if, by miracle, a magnanimous wizard were to bring down pestilence on the entire fascist brood of the Ukrainian Rada, along with its deranged child-murdering soldiery and their relatives, and to replace them with a Luminous Humanity from outer space, still we would not return to Ukraine. All the more so because such a wizard does not exist. Truly, Iosif Davydovich, we could never have guessed that after your visits you would fabricate such a conjecture about the aspirations of the Donbass people! After all, your statement is no different from saying that the Soviet people desired to become a part of the Hitlerite Germany! Anyway, so be it. We have grown accustomed to traitors from the State Duma of the Russian Federation. Already there have been among you those who “do not abandon their own and do not allow women and children to be shot.” It is fortunate that corrupt Kremlin oligarchs like you do not stand for Russia herself! For that reason, we will continue defending her no matter how much you savour calling us “the Donbass Ukrainians”, relishing this indignity repeatedly, derisively, gleefully wiping your duplicitous lips. 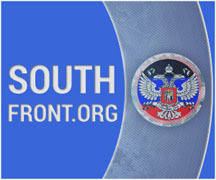 The Donbass is the historic South of Russia. We have Russian genes; we are the carriers of the Russian language, the Russian culture, the Russian mentality. Neither you, nor your Kievite and Western accomplices will ever succeed in turning our kind, industrious people into grotesque subservient yokels. Accordingly, Iosif Davydovich, you labour in vain. Nonetheless, our bitterness will not last long (after all, you are an old friend), and, when we vanquish the fascist ghouls and turn our to attention to recording the history of Novorossiya in new textbooks, we promise—so be it—to omit your name. (1) Iosif Davydovich Kobzon is a Russian singer and Deputy of the Russian State Duma. (2) Didier Burkhalter acted as President of Switzerland in 2014 and was prominent in early shuttle diplomacy with the Russian President Vladimir Vladimirovich Putin in relation to the Donbass crisis.